Imagine rolling backwards off an inflatable boat into icy Arctic waters… on purpose. Enveloped in protective gear, you stay mostly dry as the cold sinks into your body and you descend into the frigid depths below. 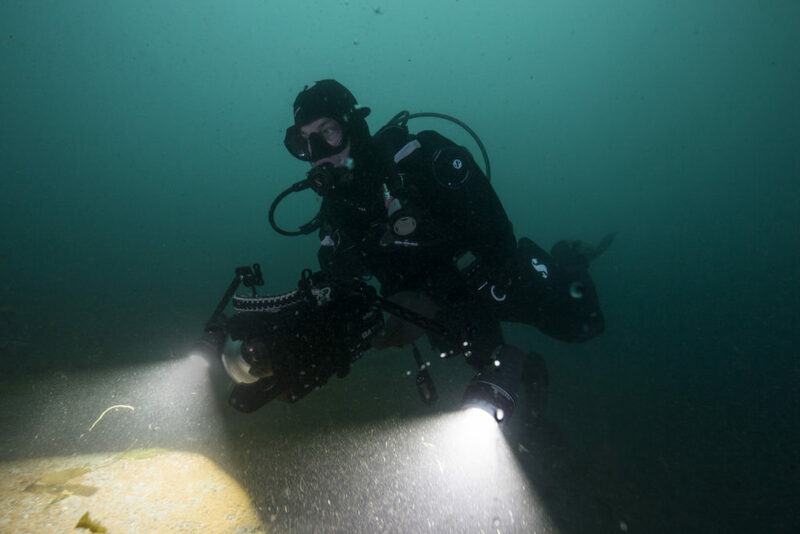 Beneath the waves, you find yourself immersed in planktonic life, including some surprisingly large zooplankton—pulsing golden green jellies the size of marbles, skittering shrimplike amphipods and graceful sea angels (Clione limacina). Blades of kelp glitter past your scuba mask as you look to the algae-covered rocks below, where mussels, shrimp, crabs and other invertebrates dwell. 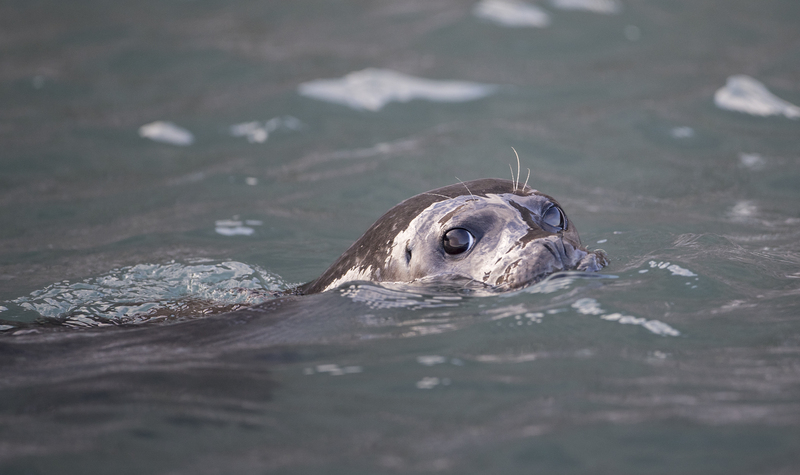 If you’re lucky, you’ll spot a plump harbor seal (Phoca vitulina ssp. vitulina) gliding by to check you out. I got in… and just kind of floated around on the surface, and the harbor seals were immediately all over me, coming up to me. I’m sure it’s one of the very few times they’ve ever interacted with someone in the water. And they would come zipping by at 20 miles and hour and then stop on a dime and look me right in the face, and then they would continue on. 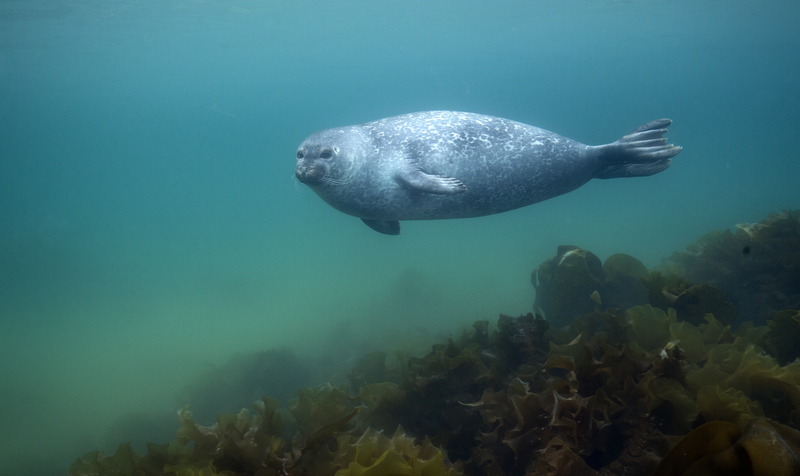 The thing about harbor seals, as compared to other marine mammals I’ve been with in the water, is they are truly underwater acrobats. And similar to sea lions, they come and they twist and they turn and are just so agile. And I feel like a clumsy clown when I’m in the water with them because they are just incredibly graceful. 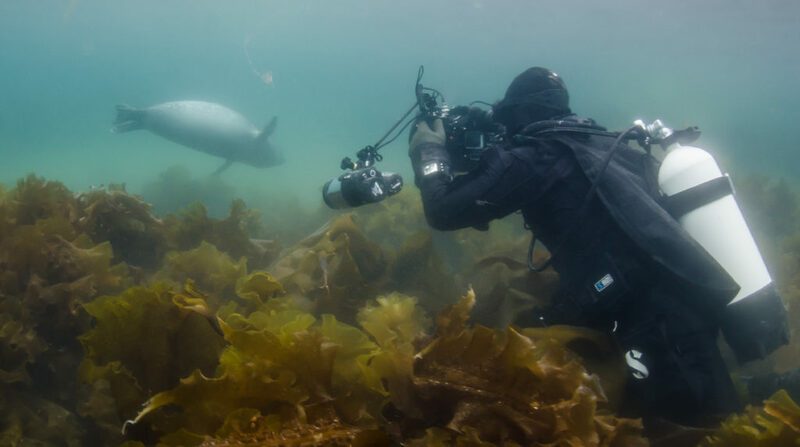 Diver Kip Evans photographing a harbor seal. (c) Peter Leopold. A lot of the places that we visit haven’ been dived before, so it always feels a bit like doing exploration; the chance to see something special is always there. But what strikes me the most is, on shore, all you see is bare rock, mountains, snow and ice. However under water, every single square centimeter is covered with marine life in the most beautiful colors. People wouldn’t believe it before they see it with their own eyes. When you’re bobbing up and down in the raft on the water near shore, you’re looking at these grand vistas, these mountains, these rocky shorelines. Of course, you expect them to continue down into the water column. 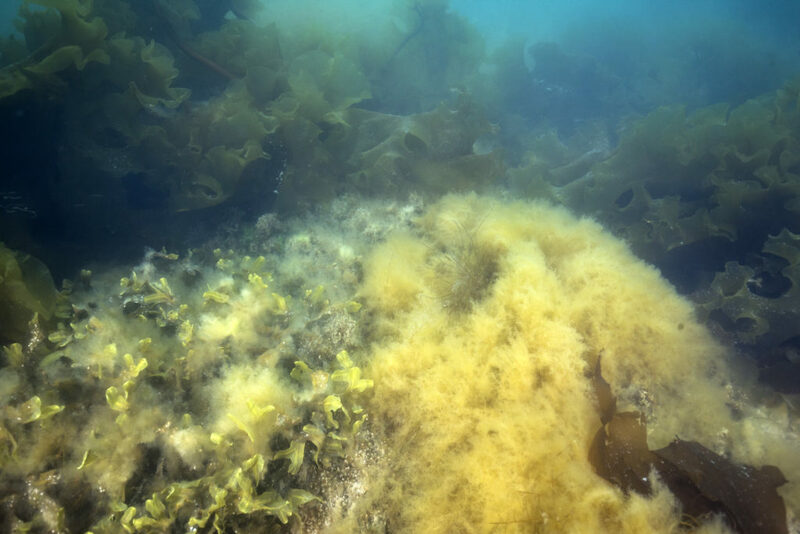 But it’s interesting when you get under there, you know, the first thing you notice is the abundance of plant life, of algae. 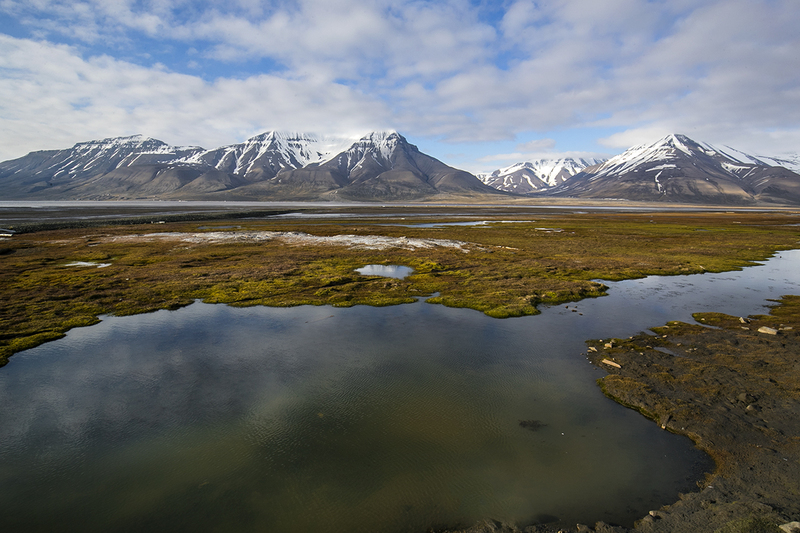 Kelp and other algae historically have been abundant in the waters surrounding Spitsbergen, sustaining a diverse invertebrate community and playing a key part in the food web. They continue to have an important role today, but as with many other aspects of this delicate ecosystem, their abundance and distribution are being impacted by climate change. Kelp forests like the one Evans and Leopold observed have begun to shift as global warming reduces land-fast sea ice. 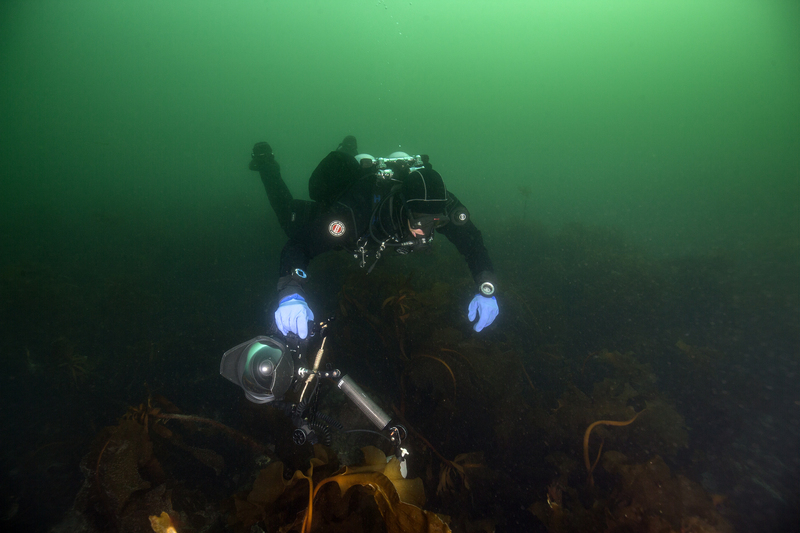 Kelp species such as Laminaria digitata now proliferate in shallower waters where ice formerly prevented them from taking hold. 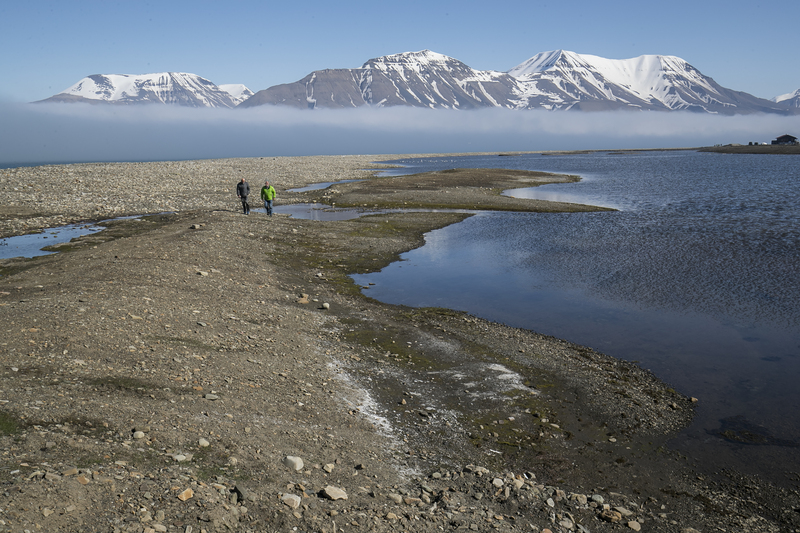 This shift may mean shallower habitat for invertebrate species that are important food sources for species on higher trophic levels, like walrus (Odobenus rosmarus) which forage from shore, but impacts from these sorts of ecosystem disruptions are complex and difficult to predict. The Mission Blue Expedition Team partnered with Polar Bears International and other science and policy experts including Leopold to observe and document the impacts of climate change in the Spitsbergen Island Hope Spot aboard the S/V Linden. 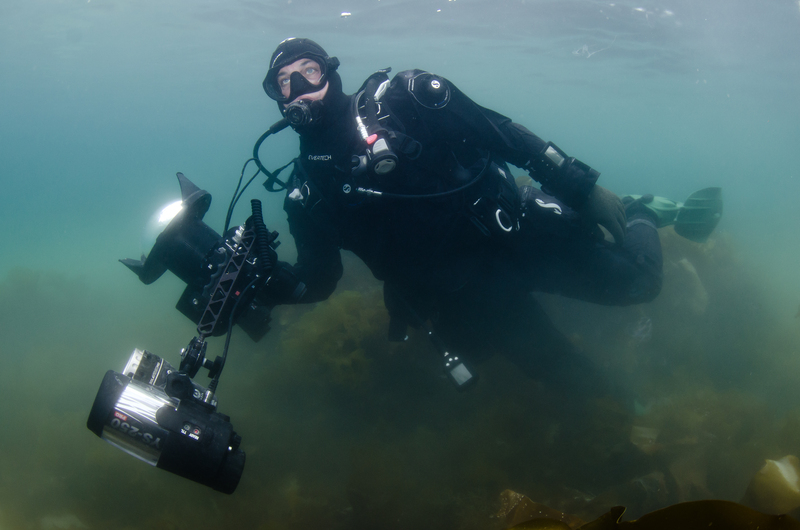 As a Mission Blue Hope Spot Expedition led by Kip Evans and Mette Eliseussen, Manager and Expedition Leader for Arctic Voyagers at Basecamp Spitsbergen, this voyage was designed to create awareness, foster partnerships and ignite broad public support for a global network of marine protected areas, or “Hope Spots.” Mission Blue inspires action to explore and protect the ocean. 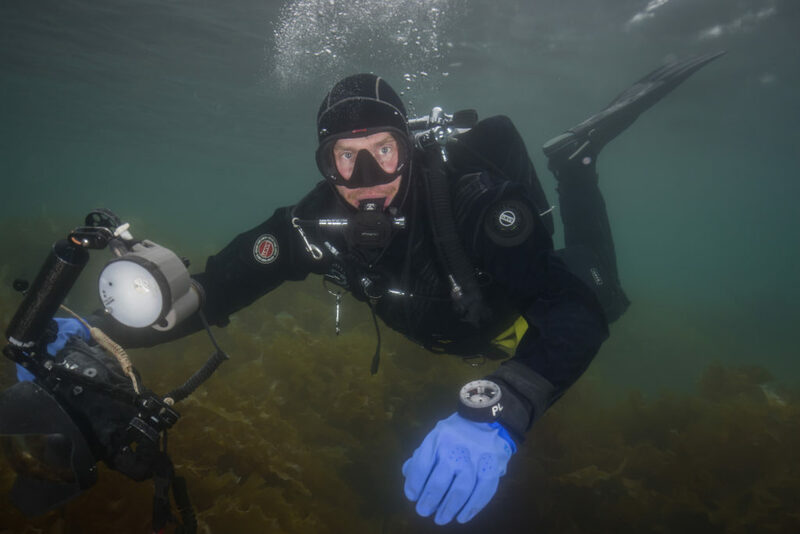 Scuba diving is an important part of our work—even in freezing cold waters—so that we can share the view underwater and inspire people to protect the ocean, the blue heart of the planet. 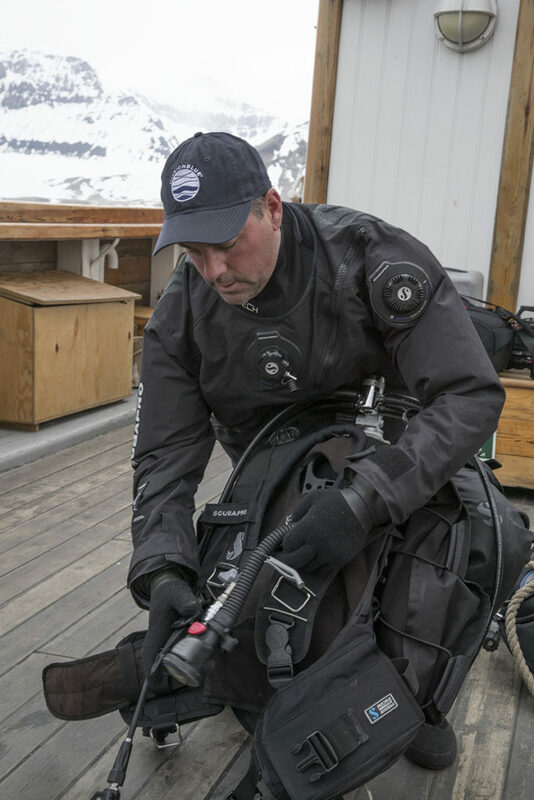 Evans also worked closely with Mission Blue sponsor ScubaPro to make sure that he had the appropriate gear to conduct safe and productive dives in the Arctic. None of this in-person exploration would be possible without specialized gear designed for the extreme conditions of polar diving. Water conducts heat away from the body 25 percent faster than air, and in water between 34-36 °F (1-3 °C) like what our team experienced, heat loss from exposure can lead to death in under an hour, even with protective gear. Without any protection, the human body undergoes a cold shock response and begins hyperventilating immediately upon entering freezing water. Risk of drowning increases notably during the course of this response, which generally subsides after a few minutes. Blood moves to the core of the body to protect vital organs, causing muscle weakness and loss of coordination within ten to 20 minutes in 41°F (5°C) water. Special thanks to Biotherm for sponsoring this Hope Spot expedition. Thanks also to Polar Bears International for their partnership, expertise and technical support in the field; to ScubaPro for outfitting our team; Gates Underwater Products for use of the Pro Action Housing; and the S/V Linden, Longyearbyen Dive Club, Basecamp Explorer, and Magnetic North Travel for keeping our team safe and informed in the field. 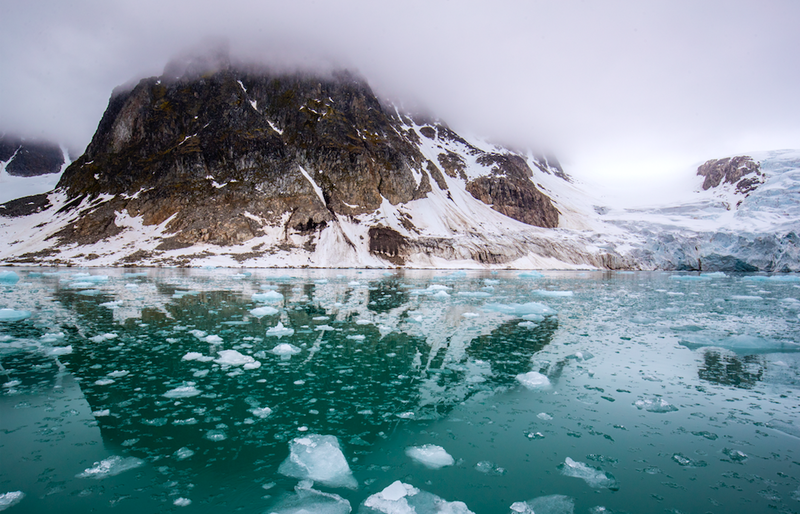 Want to learn more about the expedition and climate change? Read here.